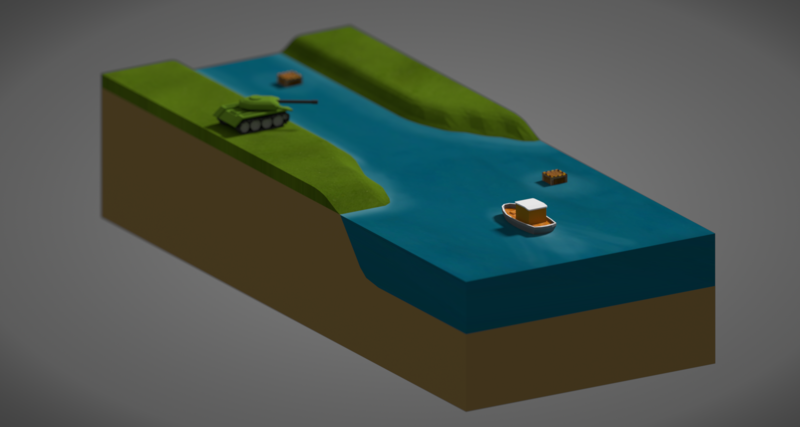 Here’s a 3D rendering of a scene from Superforce, made with Blender. If I ever release another update (or sequel) to Superforce, I might get back to this, add some explosions & other SFX and use it as a proper cover image. And here’s a quick animation. It’s just a concept so the 3D scene doesn’t match the screenshot but I see some potential for this kind of presentation.